To receive 20 bonus points please email your username to, Bbf2013@gmail.com tell them you just registered. Staff members will never ask you for your password. 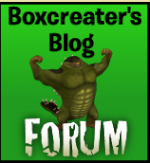 if you want to take a tour of the forum before joining, then use the following log in info. I like this idea. Maybe more people will come! According to some stats, there are 8 users on. I think it helped very much.